One of the most common complaints from people who visit a cosmetic specialist for Botox injections is that they have too many wrinkles. 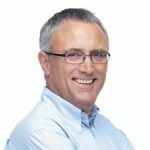 However, rather than put up with them – which can be detrimental to your self-esteem, you can do something about them – something that’s safe and FDA-approved. 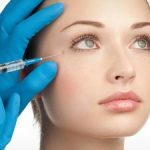 Botox injections have long been known as an effective and beneficial treatment for wrinkles, but are you aware of the other benefits? Botox Perth advise that we use facial expressions to show others how we are feeling – all without using our language. When we frown, people know we are angry or concerned, and when we smile, people know we are happy. However, what if your facial expressions didn’t show how you were feeling? That’s the reality for people with dropping brows. Even if you are feeling happy and okay, your eyebrows can make you look angry, tired, and even older than you are. Botox, however, can lift your eyebrows and stop them from drooping. There is a range of treatment options on the market for migraines, but did you know that Botox injections are one of them? While it won’t help you with the pain, it does help with the symptoms such as sensitivity to light, overall management of the discomfort, and nausea. Excess sweating, also known as hyperhidrosis, is a common but uncomfortable condition for thousands of people. No matter the weather or situation people with hyperhidrosis continue to sweat. However, because Botox injections interfere with your muscles, as well as blocking your sweat glands, it can help relieve localised sweating for up to three months. 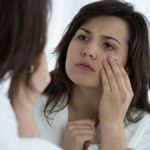 Are you self-conscious of your wrinkles, lines, and crows feet? Do you think everyone is looking at them? Dive into the fountain of youth with Botox injections. You will look and feel radiant, while also noticing a significant difference in the appearance of your skin. Your fine lines will be a thing of the past, while those deep wrinkles and crows feet will be smoothed out. You can then reap the rewards of a youthful glow for up to four months. Bells Palsy is a condition caused by facial nerve trauma or damage. For the sufferer, it can cause weakened facial muscles, facial dropping, and a noticeable difference in one side of the face. 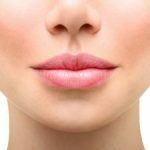 When a cosmetic specialist applies Botox injections, however, the benefits are apparent immediately. It can relax tense facial muscles or create a better balance. There is no denying Botox is a cosmetic procedure to ultimately remove fine lines and wrinkles. However, the benefits run far beyond only superficial. Consult a cosmetic specialist to find out whether Botox injections are right for you.